Our fleet consists of nine boats in a wide range of styles. We have rigid inflatables (RIBs) of different sizes; from small tender boats to our largest fleet member Finlaggen, a 5.8m RIB. 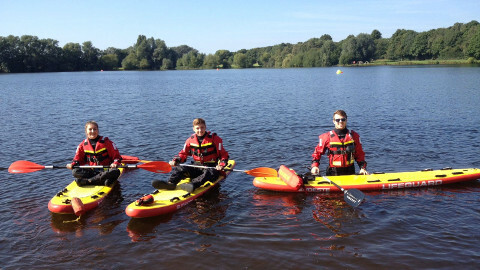 Also in our fleet we have hard shelled boats, and even fully inflatable boats making our fleet versatile and adapted to suit many different uses and services. 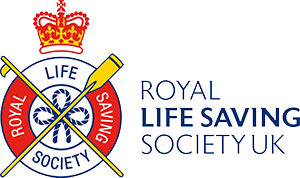 Possibly our most versatile boats, RIBs can reliably tackle a wide range of conditions, while providing a very stable platform to perform rescues from, and capacity for many casualties. 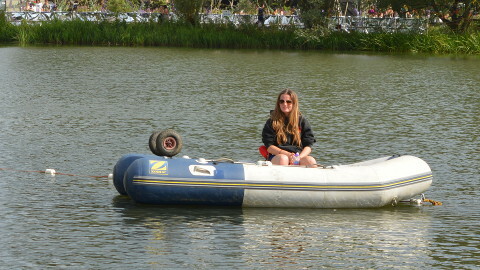 Our smaller inflatable boats are especially suited to smaller lakes and festival sites, they are easy to transport across sites and can be launched without a slipway. 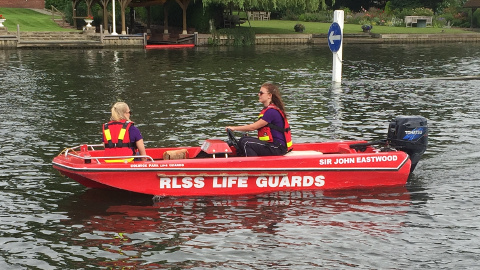 They can also operate in shallower waters, and can be rowed if deployed to an area where an outboard engine would not be suitable. These are solid hulled boats with a large open deck. They provide ample room for treating a casualty on scene, and even have enough space to lie a spinal board flat. 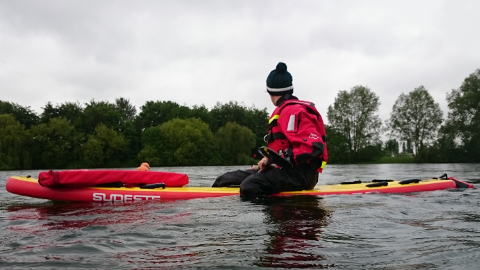 We have a selection of surk ski's, canoes and kayaks which we rely on heavily for open water swimming and similar activities. 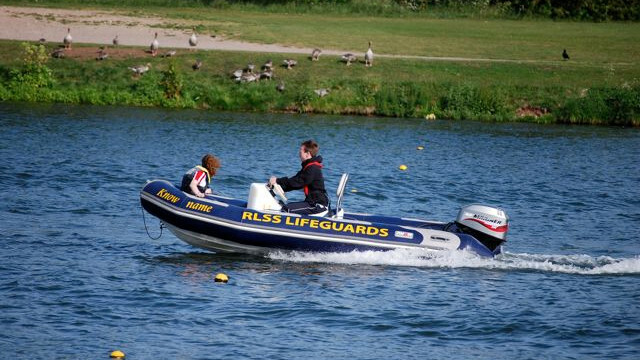 Our 4x4 Mitsubishi L200 is not only used to tow and launch our rescue boats, but is also used as a base at events where our lifeguards operate from the land too. 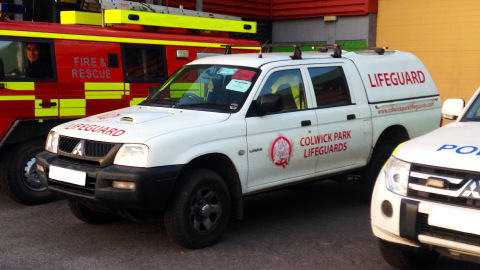 The easily recognisable truck provides a point of contact for members of the public and can be set up as a lifeguarding position and first aid point. All of our fleet are kitted out with specialist rescue equipment, including rescue aids, first aid kits, radios, dry suits for staff and more.